Tagged 07th Expansion, Innocent Grey, Kara no Shoujo, Umineko. I have waited very long for this. Finally an easy way to buy it. I hope we don’t have to wait too long for the second part. 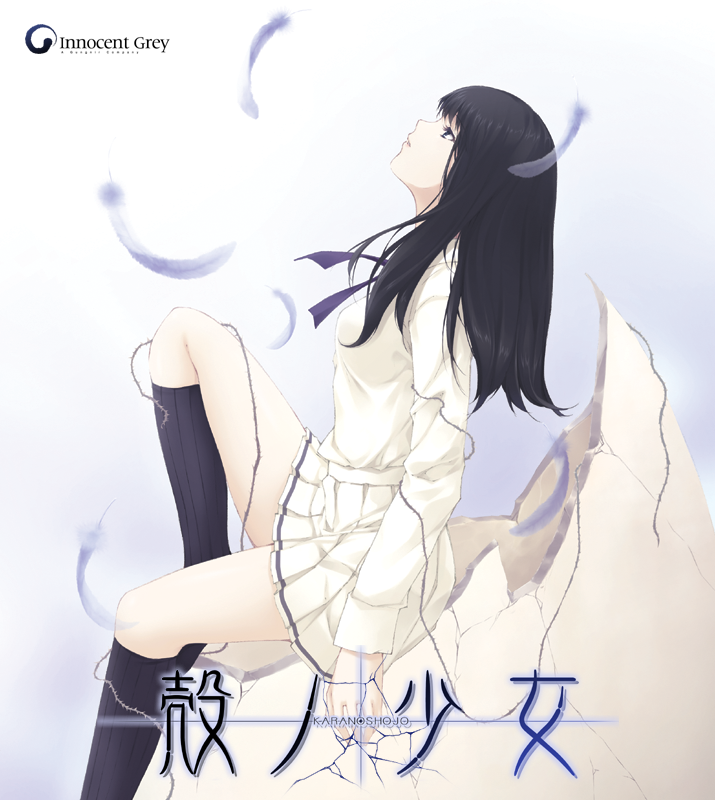 Also I ask 2 questions,where’s the eroge version of IF MY HEART HAD WINGS????? ?Yours have plans to release VNs with brazilian portuguese texts?????? And how does that affect you, if you dont even buy them? Both Umineko chapters are on the site, and apparently there is now a French version of Higurashi being sold too. I’ll probably pick up the voice patch when I feel like replaying through KnS, probably sometime after Cartagra is released. Although I tried the voice patch already that someone put out and wasn’t particularly fond of it (I felt like unvoiced worked better for this game but maybe I’m biased because I played unvoiced first), I’m totally getting this to support you guys. Hopefully it also shuts up the whiny folks who kept crying about the game being unvoiced. By the way, any news on the 2 new Innocent Grey projects by any chance? Glad to hear you will be picking up the voice patch! The team (particularly Doddler) worked hard to polish it up and iron out old (and new) bugs for your reading and listening pleasure. Oh wow, I never noticed there was a project status page. Thanks a lot for informing me of this. If I buy this, will my unvoiced edition also be upgraded to the voiced edition or am I forced to use the patch file? I’d much rather download the complete thing again since my pre-Soft Denchi version wasn’t on good terms with my anti virus software anyway. You need to use the patch file if you’re upgrading original to voiced edition. if you buy the new voiced edition, the patch is already applied to the game files. Also, a limited Edition Hard Copy is already planned and announced (AX2013). So, if I buy the patch and already have the unvoiced edition in my account I can’t download the new patched edition and have to download the old unvoiced edition + patch instead?! That IS the upgrade. The voiced edition is literally the unvoiced edition with the voice files patched over with scripting and associated fixes. The voice patch is an installer that will update the base game to the voiced version. It works with both the old version from before the site renewal and the version after, but you will still need to install the base version first. Sadly the site at the moment doesn’t support product upgrades like that where you could download the full voiced installer, it would be convenient but we don’t currently offer that option yet. I understand. It won’t matter too much anyway, since I’ll definitely buy the hard copy version too. Great news. I’ll pick it up when the hard copy is released. Yea I’ll wait for the hard copy. Waiting for the hard copy as well. Great seeing the Umineko series being sold here. With this development I wouldn’t be surprised if Ougon Musou Kyoku / Golden Reverie and Higanbana are added to the catalog. The fan projects have 07th Expansion approval after all. Why can’t I open the webpage of voice patch?